"Augmented reality technology will provide troops with more and better information to make decisions," a Microsoft spokesman told Bloomberg. "This new work extends our longstanding, trusted relationship with the Department of Defense to this new area." Based on bid documents, the prototype headsets will vary greatly from the off-the-shelf HoloLens, with the Army specifying that the device must include night vision, thermal sensing, monitoring for respiratory signs, overall alertness, concussions, and other vital signs. The contract is a huge win for Microsoft, who may well have tripled its HoloLens unit sales with one contract. Recently, the company revealed that it had moved about 50,000 units of the HoloLens in May, but with Microsoft heavily pursuing enterprise customers like Chevron and Toyota, that figure should be even larger today. Moreover, the contract establishes the HoloLens as the AR headset of choice for military clients, with the British Royal Navy and Royal Australian Air Force also opting for HoloLens-based combat solutions. 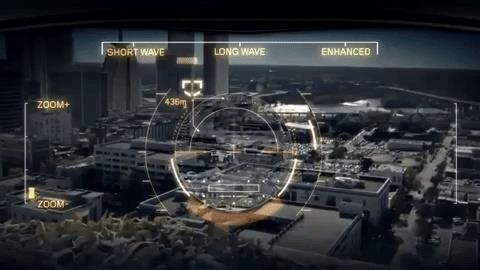 While Booz Allen Hamilton Holding Corp., Lockheed Martin Corp., and Raytheon Co. also pursued the contract, it's difficult to view this as anything other than Microsoft versus Magic Leap, the other major AR headset company that was in pursuit of the military contract, under a subsidiary named Chosen Realities. Missing out on this contract isn't going to sink Magic Leap, but should the pattern hold with other government contracts and enterprise customers choosing the HoloLens, Magic Leap may find it difficult to find a foothold in the business world before they roll out their "Enterprise Enablement" plans in mid to late 2019. Particularly given Microsoft's sizable head start in the market and the fact that the HoloLens runs a familiar and enterprise-friendly OS in Windows 10.